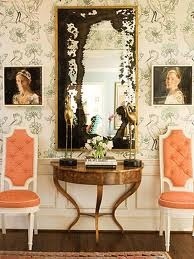 These are examples of my own line of custom mirrors and tables. Mirrors can be made with aged or unaged glass, brass or steel frames with bronze screw accents. Tables are made with antique fragments or unusual finds. Please contact me for pricing.